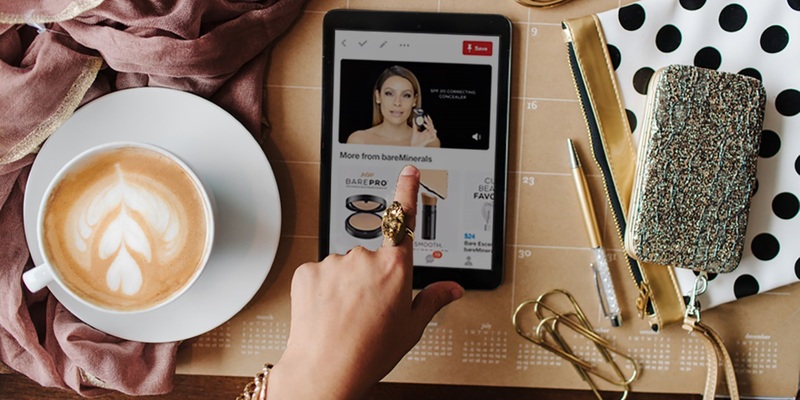 Pinterest debuted Promoted Video with auto-play in May, enabling advertisers to effectively captivate their audience with better brand storytelling, while seamlessly moving them to action. With this release, advertisers can now dynamically tell their brand stories in new ways that were not previously possible on the platform. Pinterest’s advertising products, as well as its value proposition to advertisers, continue to grow. More than 175 million people currently use Pinterest every month, and while Pinterest used to be thought of as mostly just for women, now 40 percent of people who join are men. 93 percent of active Pinners said they use Pinterest to plan for purchases, and 87 percent said they’ve purchased something because of Pinterest. No other ad platform offers a visual search and discovery experience for an audience that is actively looking for brands’ products quite like Pinterest does. Advertisers across different verticals are using Pinterest to show their audiences a new way of doing things while subtly showcasing product. Highlight product usage stories through influencers or celebrities engaging with your products: Through an exercise tutorial, a fitness apparel brand can present its new line. An automotive company can showcase the driving experience and competitive features of a sports car. Preview upcoming launches with a short teaser clip to spark interest for a new product or for a new television show or movie being released soon. Start with a strong and clear hook within the first few seconds to capture attention. Don’t be afraid to display your logo or product prominently (and tastefully) in the video. Feel free to use text overlay and promotional messaging. Pinterest is a visual platform, so rely on motion and not audio to send your message. Audio only starts playing after a pin has been clicked. Keep videos short, ideally between 15 and 30 seconds. Videos can be up to 30 minutes long. However, it is more effective to keep video messages short and simple. In addition to the new creative opportunities, Pinterest’s auto-play functionality has also proven to be a cost-effective ad product. Ads are bought on a per-impression basis, and with auto-play, every impression is more likely to lead to a video view. As the number of people enjoying a video increases, the cost per view can decrease. The tried and true method to keep users happy is encouraging better content and rewarding advertisers that create great content. And as these new ad products roll out, it’s critical to build up that trust with advertisers, in addition to showing that the ads can be effective and that they truly meet client objectives. Pinterest is partnering with Nielsen and Moat to give its advertisers accurate measurements on their auto-play video ad performance. Brad Goldberg is vice president of advertising at digital solutions agency and multiplatform advertising partner HYFN, and Allison Taylor is its product manager overseeing Pinterest development.